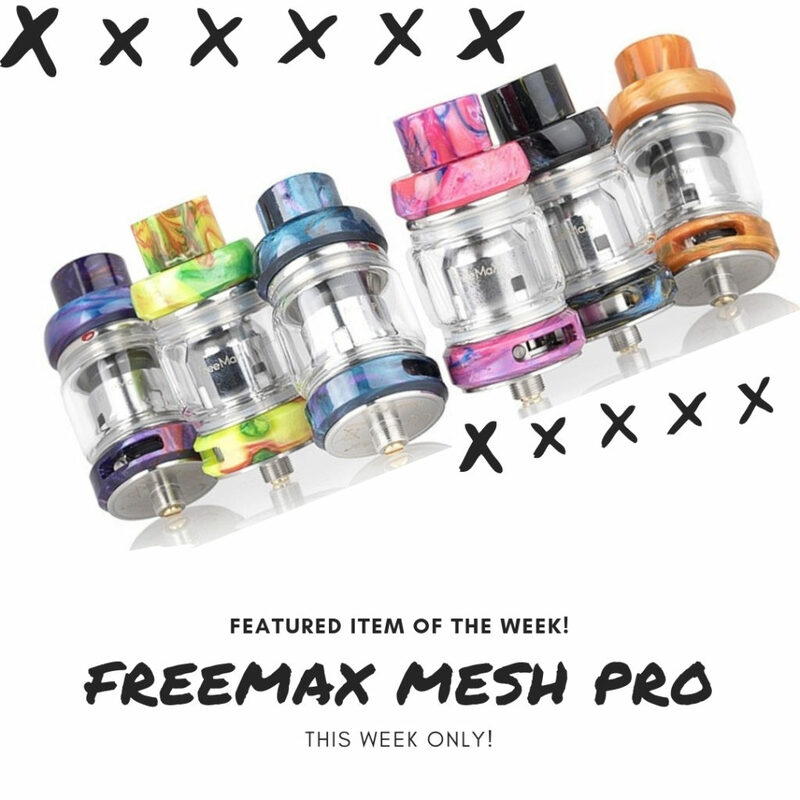 Out of the entire Fireluke series, the Freemax Mesh Pro tank stands at the top for its intense flavor and ultimate vapor production! Aside from its attractive design, this tank offers one of the first Dual and Triple Mesh coil systems with multiple compatibilities! With a 6ml e-liquid capacity, you can vape on it all day without having to re-fill! This tank will erase any hesitation you may have about switching to mesh coils! We can’t stress the flavor enhancement enough, and the feeling of a clean, dense vapor like no other. There’s a reason it’s been number one on over 10 of the top vape reviewers best tanks of 2019 lists! Now, for the details: The tank features a 25mm diameter, 6ml juice capacity, mesh pro coil system, gold plated 510 connection, convenient push slide top-fill design, wide bore 810 drip tip, and is available in a variety of colors and designs! This week only, get this tank at a discounted price!